Search Engine Optimization strikes fear into the hearts of many of the more seasoned Marketers. We’re here to tell you that it’s not as difficult as it seems. This article will focus on ways you can make your site friendlier to the search engines. In order to really climb in the rankings, though, you’ll also want to read our article about off-site ways to climb the search engines. Be sure to include your keywords or key phrases on your page. You don’t want to go overboard, but you will want your page title to be very descriptive. Assuming these articles are written with the same content, the search engines will understand the “Better SEO Title” more. There are tools you can use to find keywords that are being searched. Wordtracker: Provides a tool that displays the number of people searching for a term, as well as the competition. Wordtracker offers a free trial so you can test their service. SEO Elite: As of this writing, this website offers a free ecourse about Search Engine Optimization from one of the leading SEO Experts, Brad Callen. 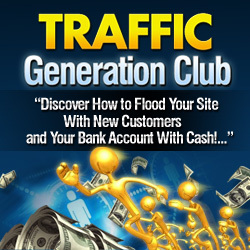 The software itself is highly recommended by many of the top Internet Marketers. Google AdWords Keyword Tool: This free resource will give you ideas for keywords. Simply add descriptive words or phrases or your website URL. Now that you have an idea of which keywords you’re using, you’ll want to stay consistent. Meta Tags: Here’s where we start to lose people. Hang in there. We promise to make this simple. All you need to do is to replace the text between the two <title> words with YOUR title. The other tag in the meta section that you should really alter is the Description tag. It will look something like this and fall immediately after the <title> tag. Simply add a short description of the page in there in plain English, and include the words you used in your title tag. There is a ton of information we could get into, but those are the quick and essential tips you should know about making your pages search engine friendly.